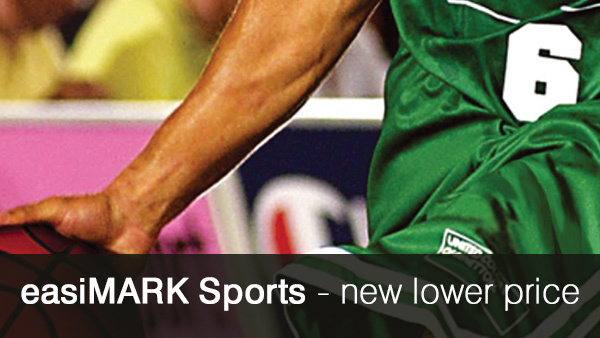 easiMARK Sports is a PVC plotter cut garment film with a polyester backing and a vibrant colour range. It is perfect for cutting and weeding sports sponsor panels, logos and numbers and the lack of adhesive means you can stack lots of weeded transfers until you’re ready to press them. Both simple designs and fine detailed work can be produced due to the easy-weed properties of easiMARK Sports. This garment film has a high washing temperature of up to 80°C and can also be tumble dried. easiMARK Sports heat applies in only 15 seconds and 150°C and is Oke-Tex® Class I certified.